I’m always up for a good skincare switch-up once in a while, and one brand I’ve been keen to try more is Pixi. I used Pixi’s Cleansing Balm last year and it was a firm favourite until I tried Cliniques. I’ve had the Pixi Glow Tonic in a few samples before but I’d never used it religiously in a routine for weeks at a time. 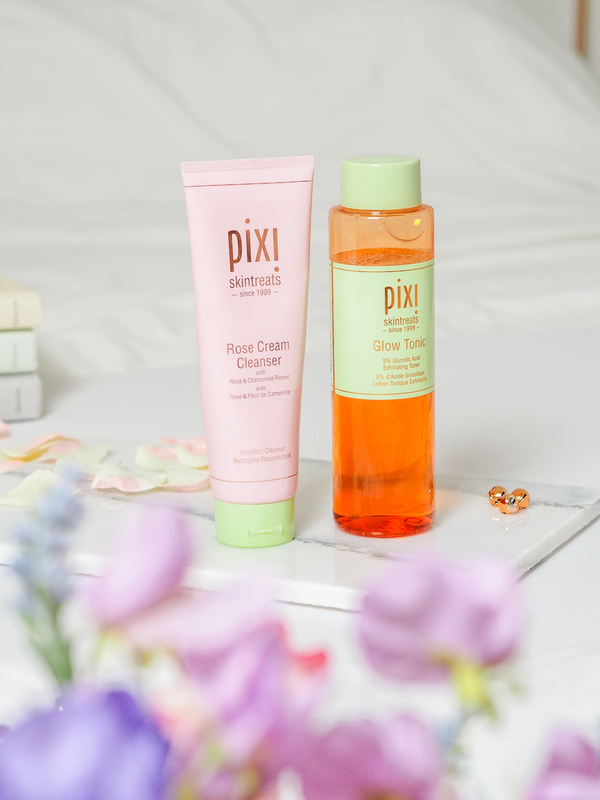 After seeing Pixi crop up time and time again on my feed, I decided to give their Rose Cream Cleanser and their oh-so-famous Glow Tonic a whirl. This isn’t a make-up removing cleanser, therefore I’ve been using it in my morning skincare routine as my first step, followed by the glow tonic and moisturiser. You use a pea-sized amount on dry skin and massage it in, before rinsing off with warm water. I feel a bit neutral about this product – I’ve found it really pleasant to use, it feels great on my skin and doesn’t strip my face of it’s moisture. It is the perfect first step of my regime, but I’m not truly convinced how much it has done for my skin. Other than the pesky totm breakout, I haven’t had many spots – but my skin was on the up before using this anyway. Would I buy it again when I run out? Maybe, but I think I’d be keen to try another cleanser first. As I said before, this has been the second step of my morning skincare routine. I probably could be using it in the evening too, but usually, I don’t. I apply a small amount to a cotton pad and wipe over my face once it’s dry after cleansing. This has definitely had an impact on my skin and pores – exfoliating them well but doing so gently. Although it hasn’t completely solved my problems, my pores are certainly smaller and tighter. Over the last month of using it it’s left my skin brighter than ever! This is one product from Pixi I’ll continue to purchase – I saw the results and I don’t know of any toners on the market right now that could compete. 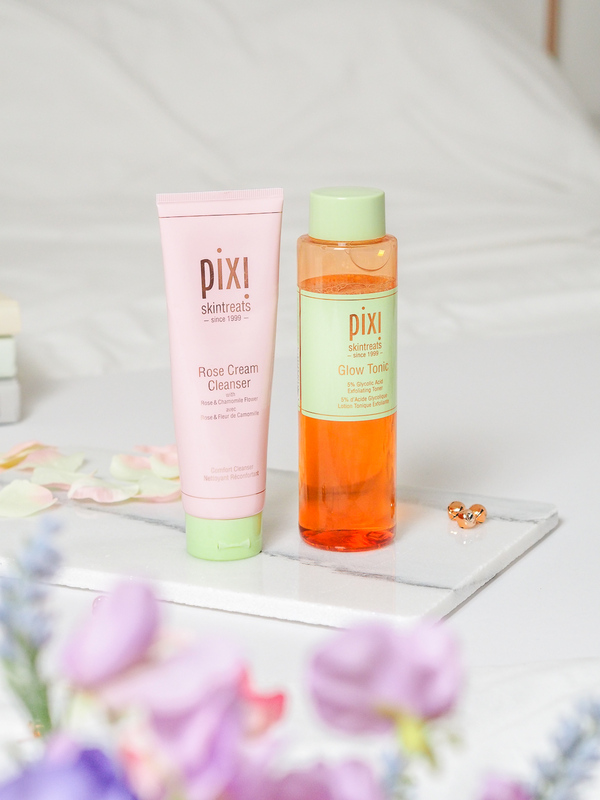 What have you tried from Pixi skincare? "5 Tips For Wearing Dance Inspired Outfits This Summer"